Powertech’s Grid Modernization team has established a dedicated lab and facilities for helping utilities deploy distribution automation (DA) devices faster using standardized templates and procedures. Services include device inspection against engineering standards, confirmation of readiness for commissioning in field, and pre-commissioning of communicating devices. Leading vendors of distribution switchgear and other devices are ramping up their capabilities and offerings to the utility sector. As utilities select, procure, and deploy these devices, they will need assistance in ensuring devices perform according to standards and specifications. 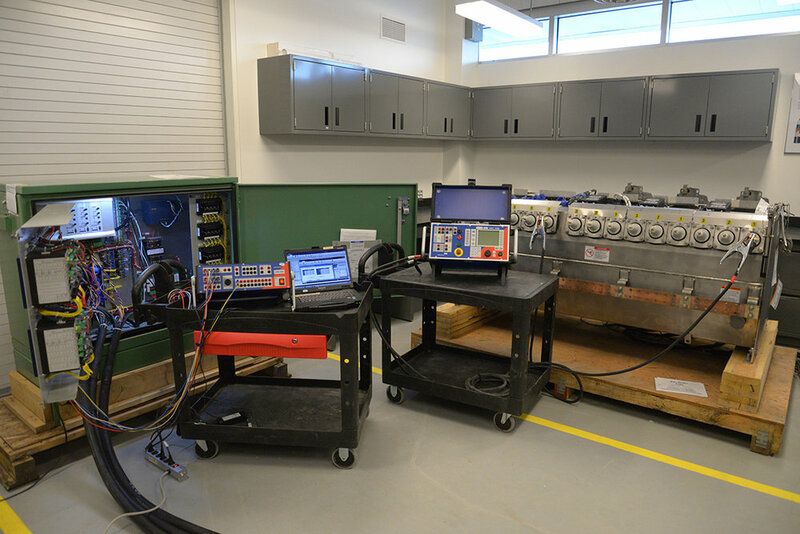 Currently Powertech is offering inspection and pre-commissioning services for underground and pad-mounted Vista switchgear and fault current indicators (FCI). The team is actively working on adding new skills and methods for other distribution devices such as reclosers, voltage regulators, capacitor controls, and other smart distribution devices.